Loom Knit Handbag PATTERNS Loom knit purse, loom knit tote, Felted, Loom Knit Bucket Bag, Waist hip Bag, Tote Bag. 3 patterns PDF Download. 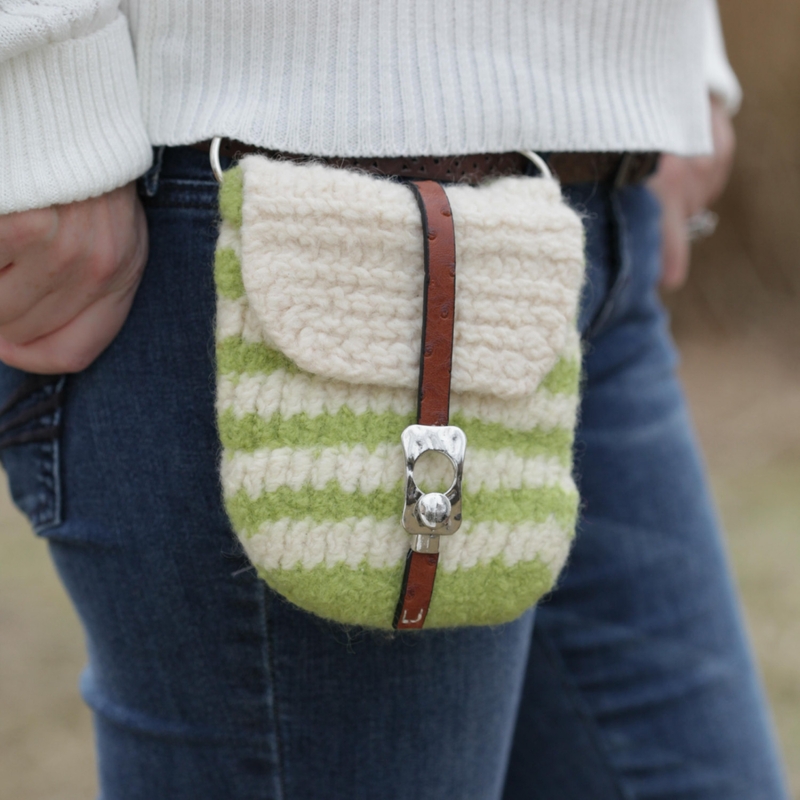 Loom Knit handbag pattern Loom knit purse pattern loom knit tote pattern loom knit waist bag Felted loom knit handbag patterns. Fun to loom knit and easy enough for a beginner loom knitter. 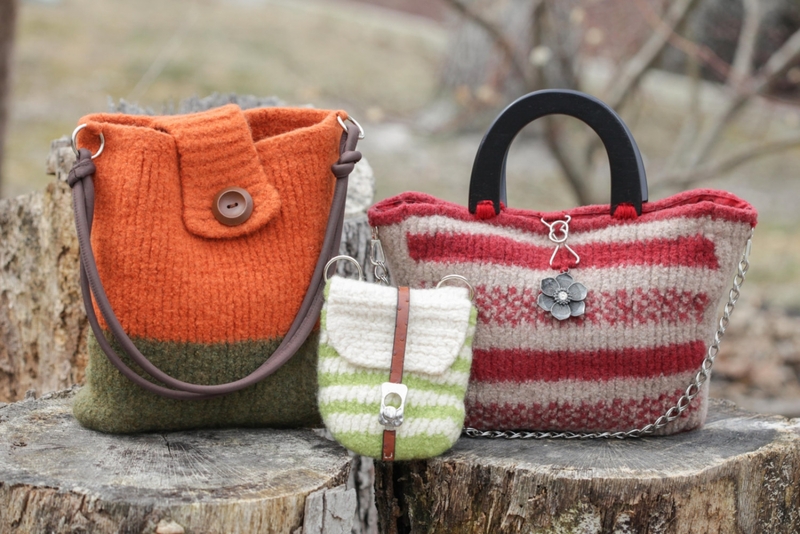 Three beautiful felted loom knit bag patterns included. 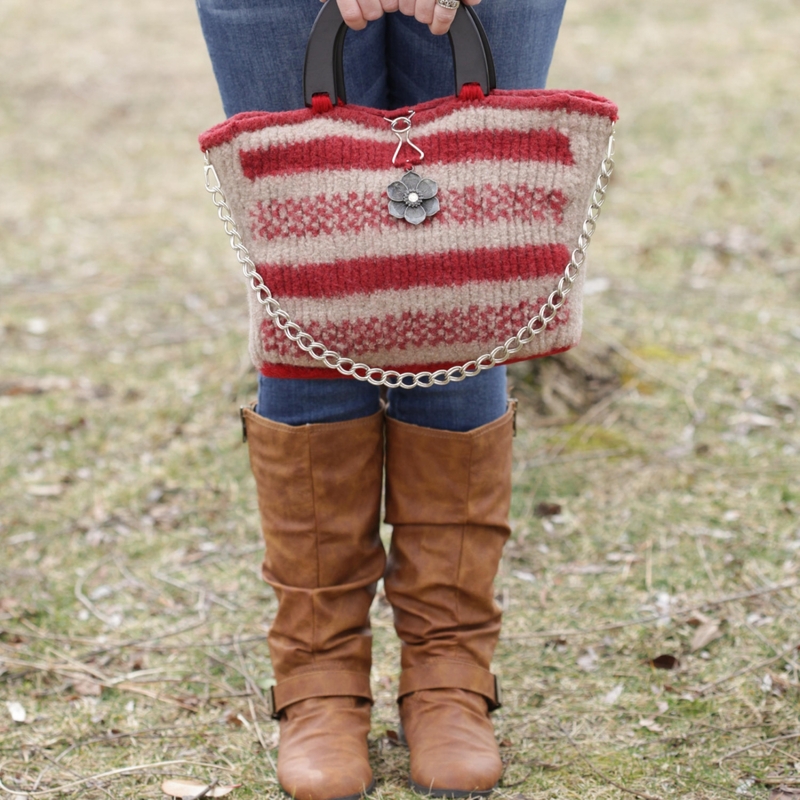 Yes, you can make quality handbags on the loom with the included instructions! 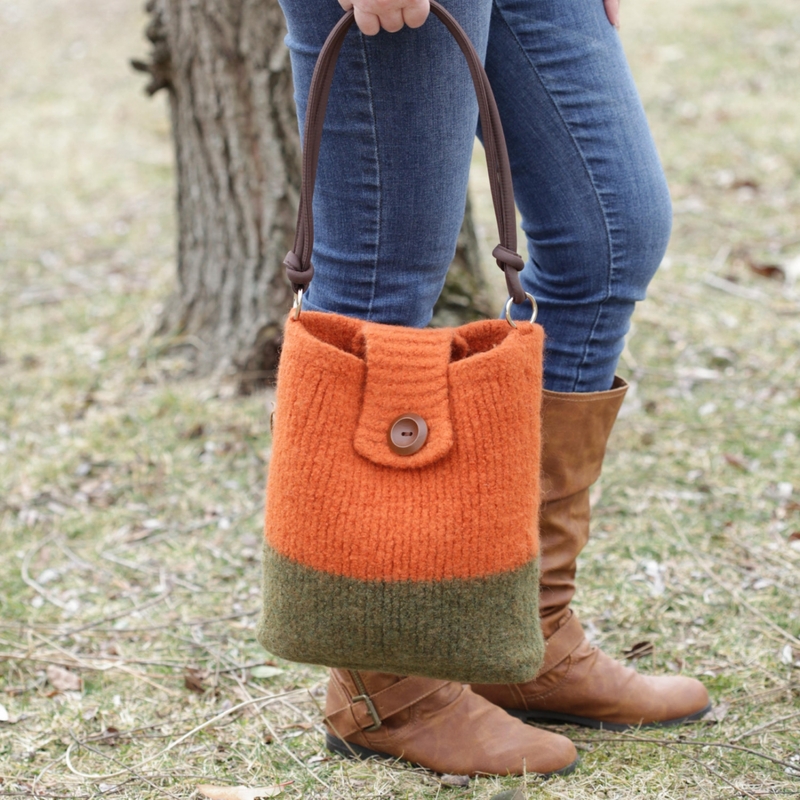 Bags can be knit in any color wool but for best results Patons Brand wool is suggested for these patterns, as that is what they've been tested on. Loom: You will need a 3/4" peg spacing, large gauge loom, 41 pegs (yellow Knifty Knitter or equivalent). Level: All felting instructions are included. Patterns are suited for the confident beginner+ loom knitter who knows how to seam. There is minimum increase/decreasing of stitches in the Hip/waist bag.